Notes: Nationally scarce (Nb) on grassland, mainly calcareous, and waste ground throughout south-eastern England. 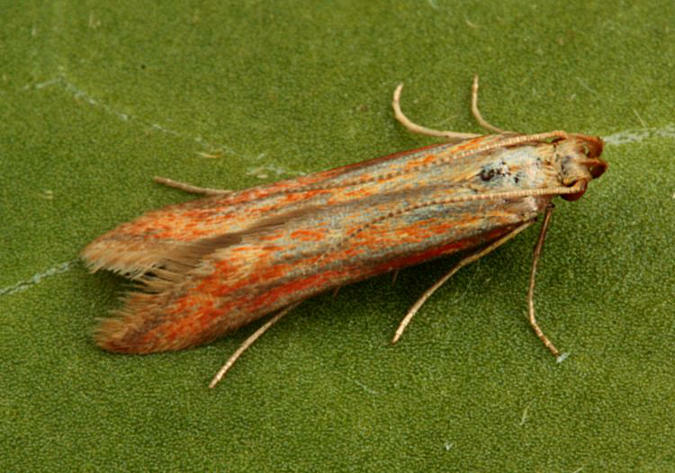 In Hampshire the species' stronghold is on Portsdown Hill, with a small population around Leckford. Not recorded from the Isle of Wight to date. Wingspan 15-18 mm. 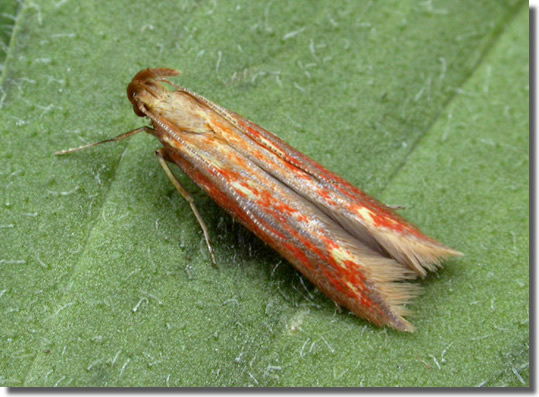 Has been confused with M. neuropterella in the past, but is generally smaller, with forewing suffused orange-vermilion, a colour not found in that species, and lacks the pale area containing a stigma at the distal end of the cell (MBGBI Vol 4 part 2). Larva feeds within seedheads of Greater Knapweed, over-wintering in a silken chamber.